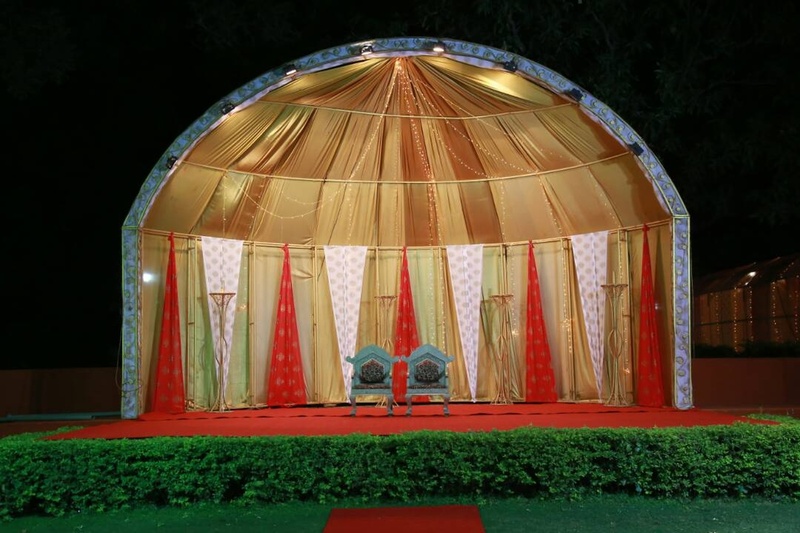 R K Lawn, Mansarovar, Jaipur is a lavish venue to host your wedding ceremonies. It is located near the Shipra Path which makes it easily accessible for all to reach there. The venue allows you to get your own caterer from outside to serve your favourite cuisines. It also gives you the freedom to get your own decorator from outside to decorate the venue as per your requirements. The elegant décor of the venue makes it an ideal option for a grand wedding. It has a lush green lawn that is great for having an open-air function under the starlit sky. 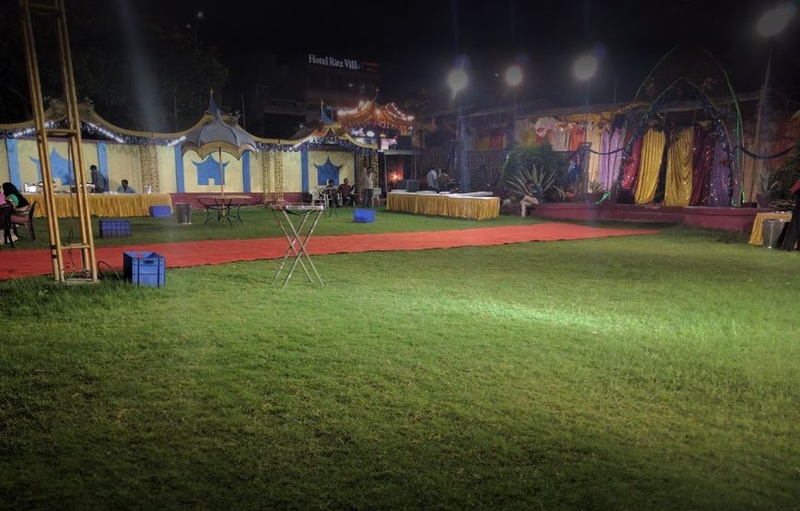 Plan your events at R K Lawn, Mansarovar, Jaipur to make them a grand success. The R K Lawn located in Mansarovar, Jaipur has Cocktail Venues and Wedding Lawns. Lawn can accommodate upto 700 guests in seating and 1050 guests in floating.